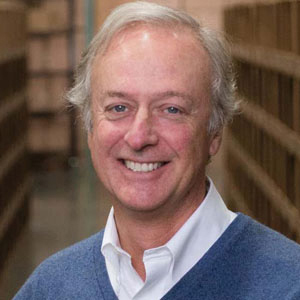 Awarehouse and automation expert with over 30 years of experience in the fulfillment industry, Bruce Welty—Founder & Chairman of the nationally-acclaimed warehouse robotics company, Locus Robotics—has been a witness to a dramatic shift in the retail space: businesses increasingly making their products available online. As a result, retailers are turning to third party logistics companies and employing new automation technologies in order to manage the burgeoning complexity of e-commerce operations, including increasing order volumes and faster packing and shipping requirements. Welty got firsthand experience of such a situation while operating a logistics company that built its success during the e-commerce boom. They were one of the first companies to integrate autonomous robots from Kiva Systems into the core of t heir w arehouse m anagement m odel to increase efficiency—until Amazon acquired Kiva, cutting of their robot supply and putting their business model in jeopardy. Welty then went on a globetrotting trek to find alternative robots for the warehouse environment, but had no luck. “We found that the majority of robot companies lacked a real understanding of the challenges and complexities that exist within a warehouse environment,” says Welty. Locus offers a complete e-commerce fulfillment solution, including autonomous robots, easily scalable software, Wi-Fi, mobile apps, and real-time performance reporting. LocusBots blend seamlessly into any warehouse environment, navigating autonomously alongside humans using LIDAR detection. In addition, “Locus Points”, placed around the warehouse, allow LocusBots to have an accurate map of the environment and location of every item to be picked, optimizing the speed and efficiency of the fulfillment process. When an item needs to be picked to fulfill an eCommerce order, Locus’ robots travel to the location of the item and wait for a human being to complete the picking process. LocusBots use a Bluetooth-connected sensor to identify each employee, automatically switching to the worker's preferred language, helping maximize picking accuracy. Each robot is equipped with a Wi-Fi connected console that works like a Network Operation Center (NOC), allowing the company to monitor clients’ warehouse environments and system efficiencies. iPads are the standard user interface, giving clear, real-time and accurate data on all completed activities. Locus Robotics also integrates non-disruptive machine learning into their system, which allows LocusBots to learn the most efficient routes and help workers become more productive over time. The system adapts easily to changes to the environment, and provides comprehensive optimization capabilities. “We also have an app where users create their own optimization, which they can publish and share,” says Welty. Unlike other warehouse robotics systems, Locus’ implementation process is simple, with virtually zero disruption. “We bring our robots into the client’s facility and train their workforce within their existing infrastructure and systems,” says Welty.